The Advanced Care Team at Albemarle Medical Associates, PLLC is dedicated to assisting patients with chronic and complicated conditions and their families. Coordinating care with all of your healthcare team members including, but not limited to, specialists, outpatient facilities, inpatient facilities, and beyond. Supporting you and your family members throughout your healthcare experience with our time, education, and dedication. Coordinating with you to improve your overall quality of life. Working to improve the management of your symptoms that may be causing your discomfort. Our healthcare team is made up of our primary physician, Dr. Tejwant Chandi, and, effective September 6, 2018, our new nurse practitioner, Mrs. Regina McCoy. At Albemarle Medical Associates, PLLC we are dedicated to ensuring our patients overall health including after hours care, psychological health, and emergency care. To this end we have entered into co-management agreements with the following facilities and providers to ensure we achieve our goal of total patient care. Should you utilize either of the following, please inform the facility staff that your primary care provider is Dr. Tejwant S. Chandi. Patient-Centered Medical Home- Level 2 by NCQA in October 2017. PCMH certification ensures that, as a practice, we have implemented procedures to ensure you and your healthcare are at the forefront of our priorities. 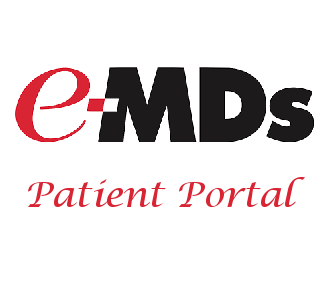 What is patient-centered medical home (PCMH)? Patient-centered medical home is an approach to providing total healthcare where your are surrounded by a team that includes health care professionals and trusted friends or family members, if you wish, who are totally focused on you. A Patient-Centered Medical Home (PCMH) ensures you will be informed about and involved in your healthcare decisions. 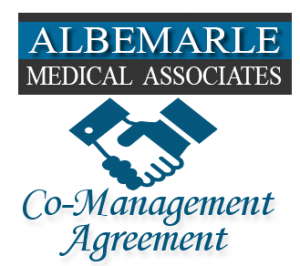 We would like to thank you for considering Albemarle Medical Associates, PLLC as your medical home. Our healthcare team, lead by Dr. Tejwant S. Chandi, collectively takes responsibility for your ongoing care, including acute and chronic care, preventive services, and sending you to trusted specialist, if needed. Care Team Members will coordinate all of your healthcare needs and we are committed to ensuring you end every visit with clear instructions and expectations, treatment goals, and future plans.